View More In Nature Crafts. 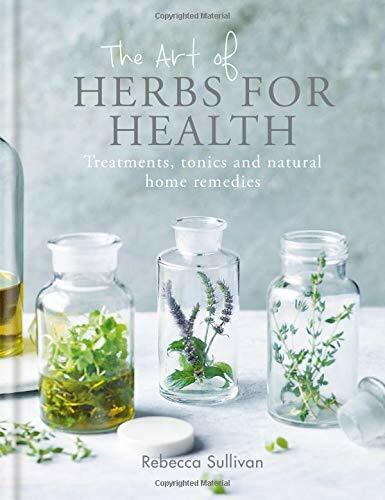 This beautifully photographed book contains a wealth of knowledge for anyone who wants to improve their health with herbs. Herbal medicine has been used for centuries, and in this thoughtful and inspiring guide, Rebecca Sullivan shares a combination of traditional wisdom and modern ideas. The Treatment section includes Travel Sickness Pastilles and Herbal Chest Rub, while the Drinks & Tonics chapter offers Sage and Lavender Kefir and Tarragon Tincture. There is also a selection of foods using herbs for health, including Herby Ice Lollies and Lemon Balm Bliss Balls. The book is also full of Rebecca's brilliant tips and advice - from soaking your feet in cool black tea to fix smelly feet to making ginger-infused ice cubes to combat nausea. With a detailed herb glossary and plenty of information about essential oils, this is an essential volume for every would-be modern apothecary. If you have any questions about this product by Kyle Books, contact us by completing and submitting the form below. If you are looking for a specif part number, please include it with your message.